One of my spring favorites was the wilted lettuce. preferring instead to buy my produce at the Farmers Market. That way my March and April garden doesn't have empty pots. And like my mother, I mostly sow black seeded simpson. 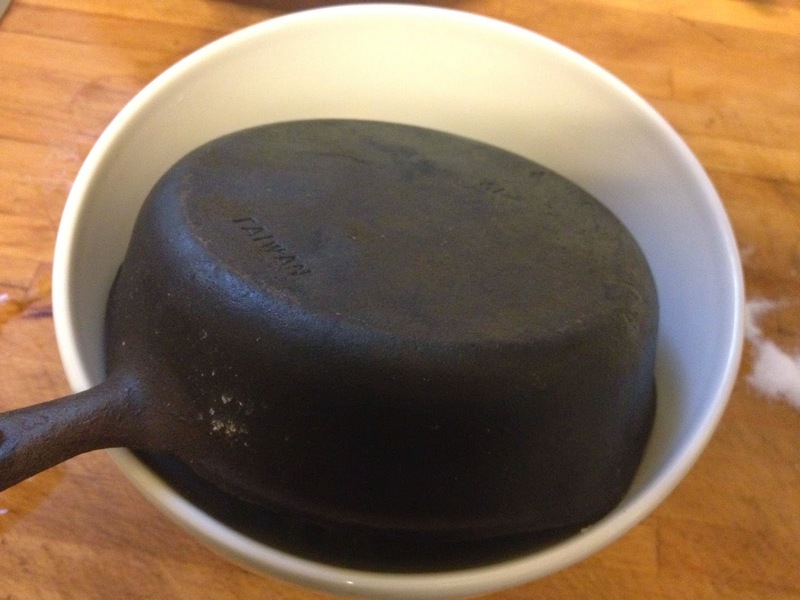 My mother always used this little skillet when she made wilted lettuce. And stir and warm until the sugar is dissolved and the dressing is hot. Then you upturn the skillet over the bowl of vegetables. 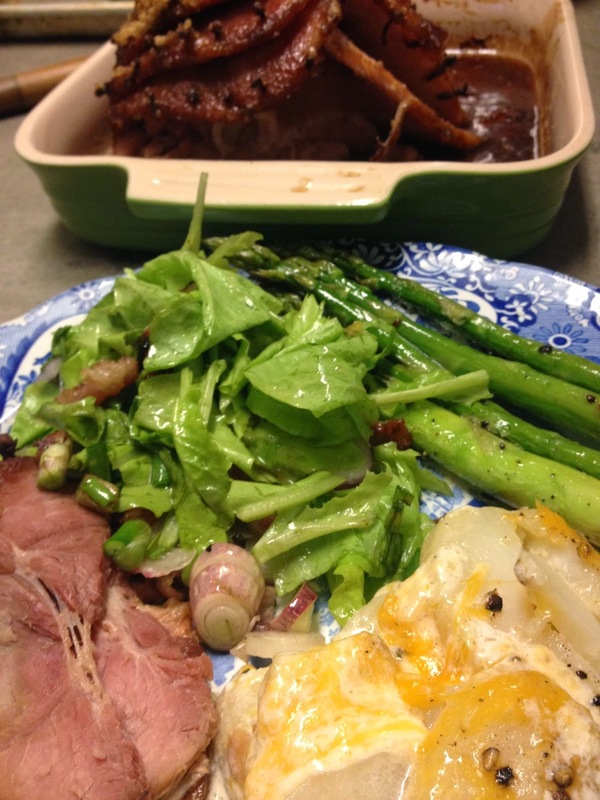 It's a tasty addition to a meal of cheesy potatoes, ham, and roasted asparagus. No store lettuce produces the same flavor as just picked garden lettuce. It's a rite of Spring! Wonderful memories. My mother always made this in the spring...I think her dressing also had an egg in it........It was great. This brings back wonderful memories of my mother's wilted lettuce salad. Yum! Yum! It sounds delicious, Martha. I like a rite of spring that is all about good food! 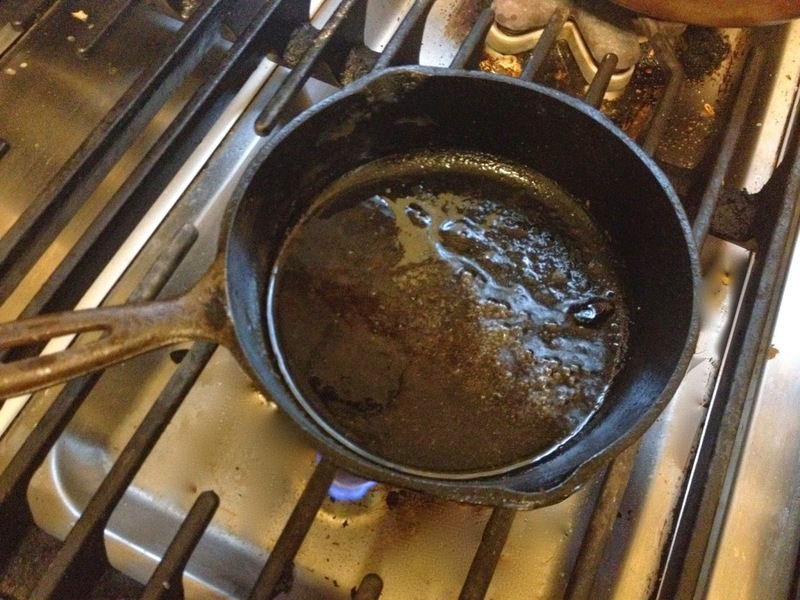 Loved your post and I too particularly liked the fact that you use your mama's pan that she also used. I get a special feeling each and every time I use one of my own mother's or my grand mother's kitchen things. 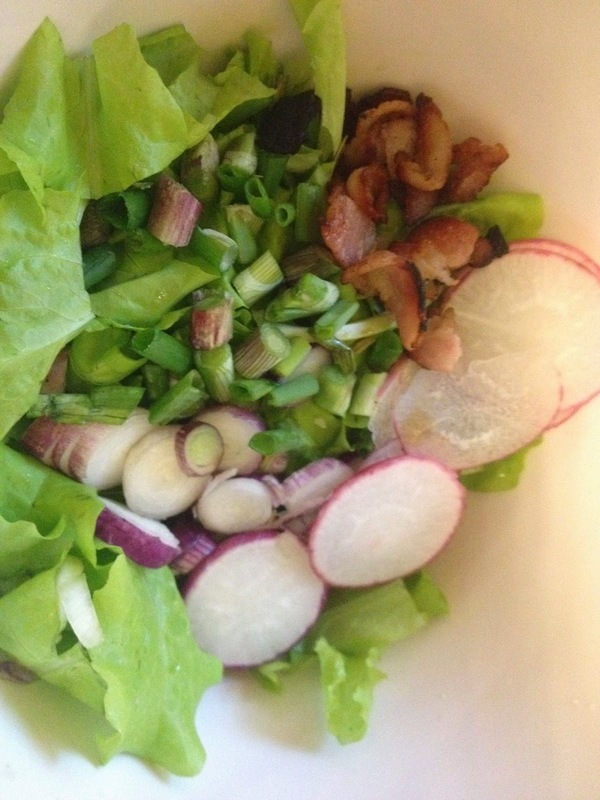 Oh warm bacon dressing on a garden fresh salad, how utterly scrumptious! I can almost hear the sizzle as the bacon dressing first unites with the lettuce, dear friend!! !